The Spertus Institute for Jewish Learning and Leadership in Chicago decided to try to answer this question. With the support of a generous grant, Spertus launched the Critical Conversations series – an effort to bring together those with opposing views for a respectful, substantive discussion on salient topics. 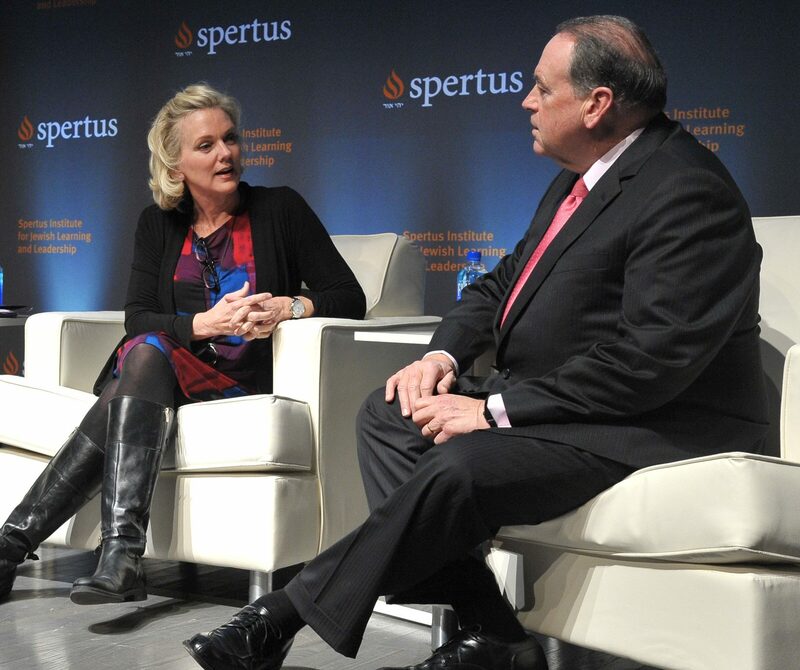 For their inaugural Conversation, Spertus hosted former Governors Jennifer Granholm (D-MI) and Mike Huckabee (R-AR) – two experienced politicians and political commentators from opposite ends of the political spectrum. The topics ranged widely from gun violence and immigration to climate change and “fake news”. The conversation could have easily descended into the divisive rhetoric and shouting we see all too often on cable TV. 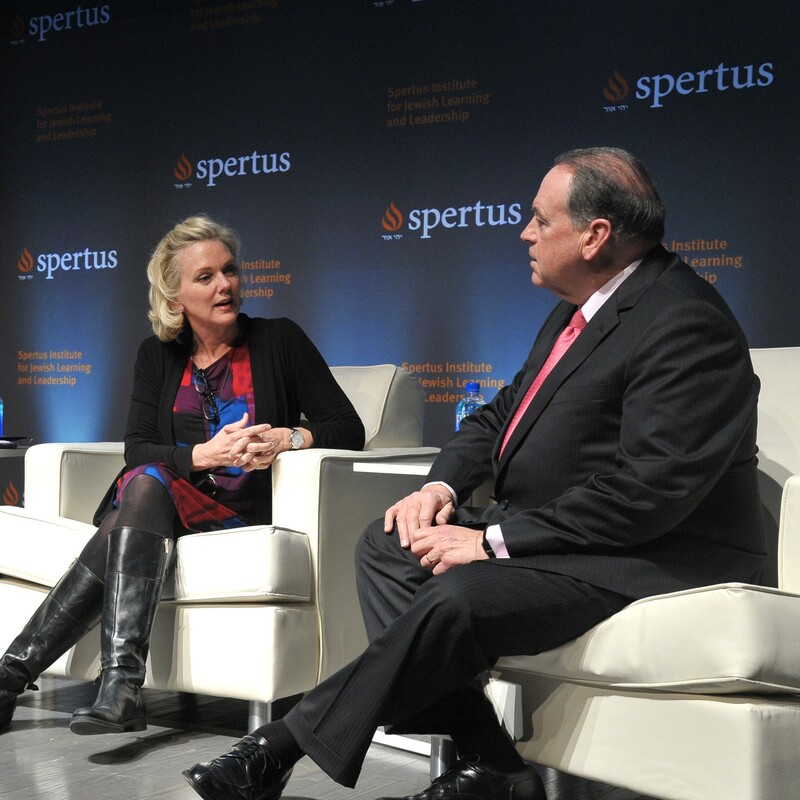 Instead, the packed house was presented with “good humor, respectful disagreement, and a genuine desire to speak with, not at, each other,” noted Spertus Institute’s President and CEO, Dr. Hal Lewis. While the Governors disagreed on many of the topics – often passionately, they did so in a civil manner, endeavoring to find common ground, or at least an understanding of why their counterpart thought the way they did. When we talk to each other, not past each other; when we listen critically as well as offer new ideas, we can begin to develop solutions for, and new perspectives on, the pressing challenges our nation faces. From our kitchen tables to the halls of Congress, there is a great need to be reminded of this fact. We must be reminded of the value civil dialogue holds both for our relationships with other people, and for the proper functioning of our civic life. Such dialogue allows us to explore hard problems without hardening feelings and promotes lively engagement that can actually produce new, novel ideas. The Spertus event was a timely and important reminder of this fact, a reminder that we can indeed talk.